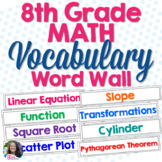 Over 100 8th grade math terms are ready to print for your word wall. You can print them in color (by similar topic) or black and white. 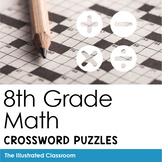 (29 pages) If there is a word that you think should be added, please let me know in the Product Q & A section. 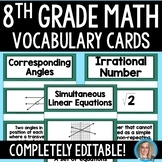 I hope this is helpful to you and your students! 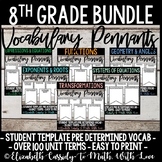 TEKS Aligned 80 Vocabulary Cards (2 per page) --Each word includes definition & visual-- Aligned to 8th Grade Math TEKS Ready to Print, Cut & put to Use Bold Font can easily be seen from across the room. 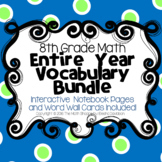 All the vocabulary words for all four units of the LAUSD Mathematics Instructional Guide. 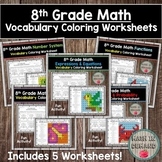 Excel Spreadsheet available upon request after purchase. 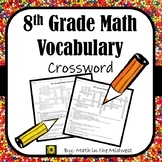 99 8th grade math vocabulary words and blank boxes to add in your own words. 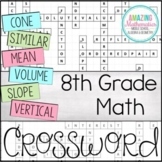 This can be changed for any grade level. 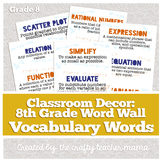 Word Wall for Middle School Math Classroom, definitions and visuals included. 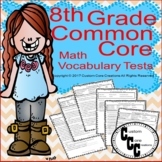 Over 200 words!